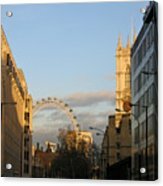 Queen duvet cover (88" x 88") featuring the image "Sun Sets On London" by Ann Horn. Our soft microfiber duvet covers are hand sewn and include a hidden zipper for easy washing and assembly. Your selected image is printed on the top surface with a soft white surface underneath. All duvet covers are machine washable with cold water and a mild detergent. Geordie, thank you for featuring Sun Sets on London in The City of London Artwork group. DiDi, thank you very much for the feature of Sun Sets on London in the Carousels and Carnivals groups. Many thanks, Sarah. Very glad you like this. Bruce, thank you so much for featuring Sun Sets on London in the Architecture group. Thanks, Dean, for your complimentary comment. Very much appreciated. wow, the light in this shot is fabulous. Great capture Ann! Thank you for your complimentary comment, Sarah. Thanks, Madeline. You are right! It's (almost) all in the light and shadows. Ann, the light and shadows are beautifully captured and set this off. Very nice lighting and composition Ann. 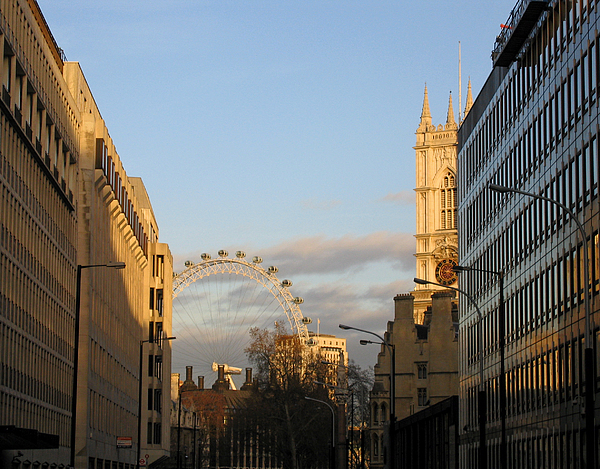 An outstanding London image, Ann! Ann I love the long shadows of the day.. lovely image,, sky is amazing!! Great capture Ann. Nice composition and detail. 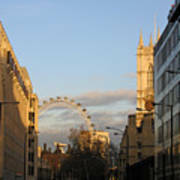 As the city of London begins to darken, Westminster Abbey and the London Eye gleam in the setting sun. Copyright 2004 Ann Horn. ALL RIGHTS RESERVED. . This copyrighted image does not belong to the public domain and may not be reproduced, copied, altered or manipulated in any way without the written permission of Ann Horn. ann-horn.pixels.com. 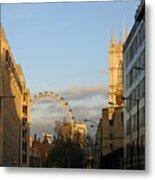 pixels.com Group features: The City of London Artwork. Carousels and Carnivals. Architecture.